When I survey the landscape of “Christendom,” particularly in regard to what is by farthe most prevalent and practically debilitating error diluting the faith of most Christians by confusing their understanding of God, I wonder if the word should perhaps be spelled “Christen-dumb.” That would more aptly describe the egregious biblical and intellectual contradictions that otherwise intelligent believers are willing to live with, despite the damage it does to their spiritual lives. What is that pervasive error? Not the Trinity, although giving credence to that pagan fable requires an otherwise Monday-through-Saturday thinker to jettison all reason and logic, along with the laws of language, on Sunday. No, I’m referring to the rampant notion that “God is in control,” and that He either wills or allows everything that happens, including all evil and tragedy, sometimes so He can show off His ability to get you out of the trauma He got you into. 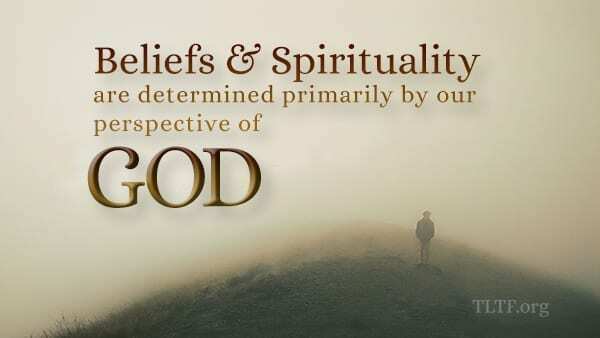 The most fundamental determinant of any man’s quality of faith, and thus his spirituality, is his perspective of God. The Devil knows this, and that is why from his first recorded words to man (Gen. 3:1ff), he has relentlessly assaulted the goodness and the integrity of God. Sad to say, he has been remarkably successful in “dumbing down” all but a relative handful of our dear Christian family. Do you realize that 99% of our brethren, who rightly call themselves children of God, believe that their supposedly loving Heavenly Father is constantly bringing grievous circumstances into their lives for some hard-to-grasp reason, or that He “allows” such tragedies and trials? As a result, I think it is fair to say that NOBODY IS MORE HATED THAN THE GOD OF LOVE. He constantly gets blamed for the trauma people endure. Can you imagine how that must grieve Him? Countless Christians preface their heartfelt prayers with, “If it be thy will…” Hint: THE WORD OF GOD IS THE WILL OF GOD. What does the Word say about how God relates to us? It says that God and the Lord Jesus are always fighting tooth and nail to do every good thing for us, and to stop every bad thing from us. Therefore when they can, they do, and when they don’t, they couldn’t. That truth is the only genuine basis for faith. How could anyone trust God for deliverance if he or she believes that He is either causing or allowing the terrible things afflicting them? In fact, how could anyone who believes that not think—deep down—that God is a psychotic tyrant? Oh, but “God works in mysterious ways…” Hogwash! In His written revelation to us He tells us exactly what He will do and exactly what He will not do. In this vein, what does TLTF have to contribute to Christendom? The Don’t Blame Godbook, for starters. And the great truth contained in One Day With The Creator, particularly Segments 11: “The Biblical Motif: This is War,” 12: “Elijah and the Prophets of Baal,” 13: “Don’t Blame God,” 14: “God’s Foreknowledge and Man’s Free Will,” and 15: “The Administrations in Scripture.” Think about how these truths are inextricably connected, and if you don’t feel you can articulate these vital biblical concepts, you might want to watch these segments again (and again) so that you are “ready to give an answer” to those who want it. If you are familiar with our work, you may recall my references to a wonderful book titled The God Who Risks, by John Sanders. Back in about 1999 I did a Book Review of it, and lately I’ve been going through it again. Given the degree to which Christianity is riddled with the lie that God has absolute foreknowledge and therefore knows, or causes, everything that will happen, I will never get off this soapbox and stop proclaiming God’s goodness and how much He loves each of us and desires intimate relationship with us. Here is the foundation of the biblical truth regarding how God has chosen to interact with human beings: GOD IS LOVE. Love does not control. Love reveals itself. Love is vulnerable, because it surrenders into other hands the final outcome of its aspirations. Genuine love aspires to give to the beloved but respects the personhood of the other such that the lover accepts and works within the conditions of the relationship. By definition, LOVE involves RISK. In one sense, Jesus Christ is the biggest risk God ever took. In light of our forthcoming video, Jesus Christ: The Diameter of the Ages, I will close this letter with some pertinent and profound quotes from The God Who Risks. There is much more in TGWR that I hope to incorporate into an upcoming WWF teaching. As you read on, remember that because he freely chose to obey God’s written Word, Jesus is the explicit image of God, God’s definition of Himself to the world. [TGWR] God sovereignly wills to have humans become collaborators with Him in achieving His divine project of reciprocal love. We could call this “relational theism.” In choosing to depend on humans for some things, God takes the risk of being either delighted or disappointed in what transpires…This view is far more satisfying in regard to Scripture, and it is a more coherent view of the nature of God and the issues of life such as evil, prayer, and a personal relationship with God. God’s project is to develop people who love and trust Him in response to His love, and who manifest their love for Him by effective action to others (e.g., 1 Cor. 3:9; 2 Cor. 6:1—“fellow workers”)…His divine love transforms our hearts to be concerned about the wellbeing of others…This transformation anticipates God’s eschatological [end times] transformation of things in the future…God is seeking to build a people of whom He is proud to be their God. This is the divine project, established at creation, to which God has remained faithful. God sovereignly chose to enter into a relationship with His creatures in a way that involves risk for both Him and them. The almighty God creates significant others with freedom and grants them space to be alongside Him and to collaborate with Him. God expects this collaboration to proceed toward the fulfillment of His goal for creation. God loves us, provides for us, and desires our trust and love in return. We see this most fundamentally demonstrated in the life of Jesus, who came not to dominate others but to reconcile rebellious creatures through the power of love. The life of Jesus shows us that God is able to exercise greater control over the nonhuman world than the human world. Miracles, in part, are dependent upon the social context and the relationships people had with Jesus. In these relationships Jesus showed himself flexible and open to adjusting his plans in response to the concerns of others…Everything is not being worked out according to some eternal script. God responds to His creatures and gets involved in the give and take of life. Furthermore, in Jesus God demonstrates His love toward us. The Cross and Resurrection are God’s measured response to sin and evil. Through agape love God gives of Himself in Jesus to sinful creatures and thus experiences suffering and humiliation. Such love is non-manipulative and unselfish, seeking the greatest well being of the creatures. Divine love pays the cost of forgiveness and overcomes evil. This is the way God displays His wisdom and seeks to win our trust. In Jesus we see that God’s love does not force its will on the beloved, but rather comes to us in passionate vulnerability. Furthermore, in contrast to traditional, God-is-in-control theology, Jesus did not go around cleaning up the mess caused by the disease, disasters, and misery that his Father had caused. Because of the life and work of Jesus we have a solid basis to place our confidence in God’s amazing love, faithfulness, and resourcefulness. God is wise and competent in carrying out His project, and we look forward to its completion. Is that stuff powerful, or what? Let us exercise the privilege we have to understand these vital truths by making them our own and sharing them with everyone we can.